In 2014, more people relocated to Germany than any other country in the world. Since 2006, the amount of people moving to Germany has increased every year, from 558,467 in 2006 to more than 1.3 million in 2014. Around one in five people living in Germany now have a foreign-born parent or international background. 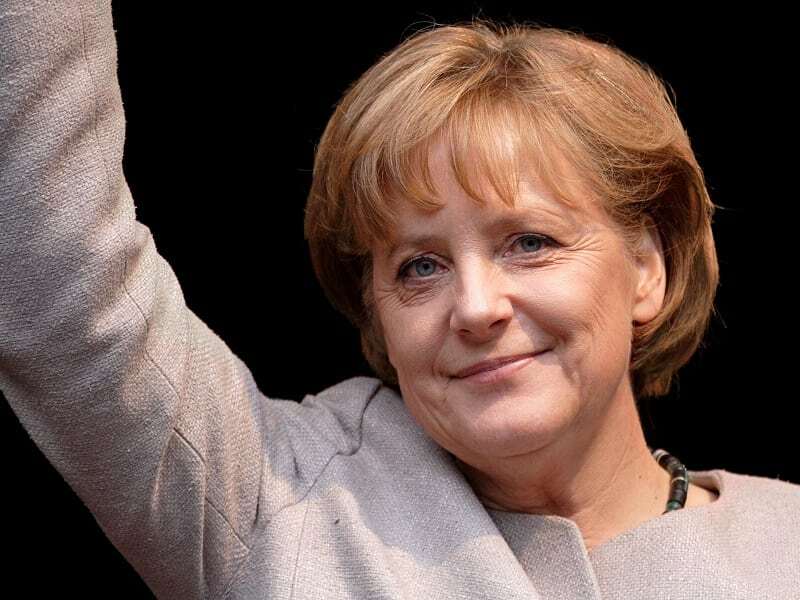 During the same period, Germany’s unemployment rate has dropped from 10 per cent to just 4.2 per cent. Furthermore, the German economy was the second-fastest growing economy of the G7 countries in 2016. 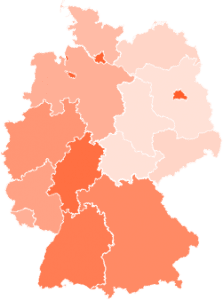 Movinga conducted research into each of Germany’s 16 federal states in order to analyse the possible benefits of foreign human capital. They looked at the number of firms receiving venture capital, the number of patent applications, the unemployment rate and the percentage of the state that were born in another country, finding that German states with a higher percentage of foreign-born citizens see higher levels of innovation. They also illustrate that attracting more people from other countries does not mean higher unemployment. 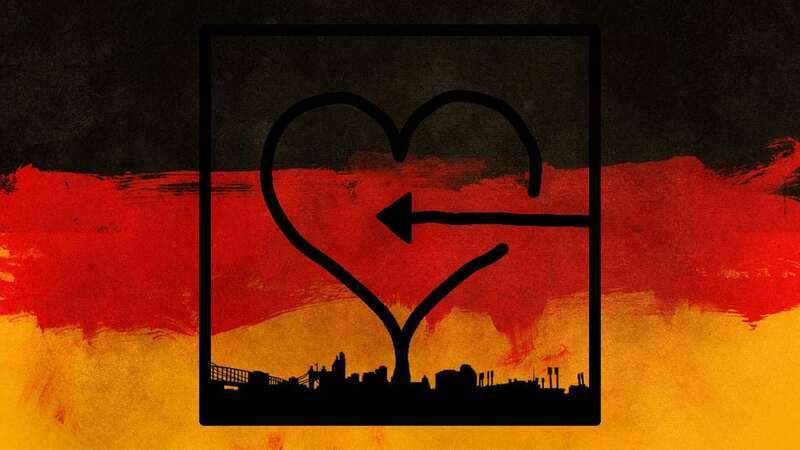 With 81.4 million citizens, Germany is Europe’s largest country by population. It is also the nation with the largest foreign-born population in Europe, with more than 7.8 million (9.6 per cent) originating from another country. 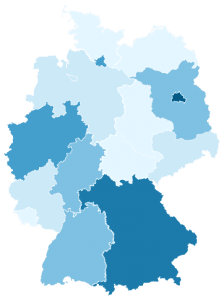 However, this diversity is not evenly spread across Germany’s 16 federal states: five states have more than 10 per cent of citizens who are foreign-born compared, whereas five states have a foreign-born population of less than three per cent. This disparity is illustrated in the red graph. The blue graph shows that the city states such as Berlin and Hamburg that have a higher percentage of foreign-born citizens are also home to a higher number of firms receiving venture capital. Similarly, the table below highlights that the two federal states with the most patent applications (Bayern and Baden-Württemberg) are also diverse demographically, with around 10 per cent of their populations being foreign-born. In contrast, the federal states with fewer firms receiving venture capital and lower numbers of patent applications like Sachsen-Anhalt and Mecklenburg-Vorpommern have smaller foreign-born populations. These findings convey that people born in other countries are of great economic value, and that an attitude of openness to foreign-born citizens is important in order for support innovation, research, development and growth. The relative weakness of the federal states with fewer numbers of people born in other countries suggests that they could boost innovation and their general economic performance through attracting more talent born outside Germany. 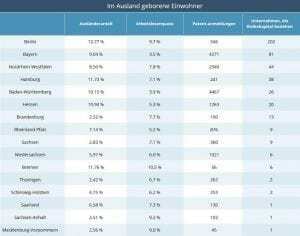 The graph below furthermore shows Bayern and Baden-Württemberg also have some of Germany’s lowest unemployment rates, whereas Sachsen-Anhalt and Mecklenburg-Vorpommern have some of the highest unemployment rates. This shows that having a higher number of foreign-born citizens does not mean that fewer people will be able to find jobs. Unemployment is higher in the diverse states of Berlin and Hamburg compared to the national average, but this is more indicative of their unusual positions as city states rather than their economic weakness. Of course, this all comes at a time when the UK is actively pursuing a course that threatens to limit the availability of skilled labour and therefore plunge the economy into economic darkness. Not a smart move by all accounts, but then common sense rarely finds breathing space in populist rhetoric. this speaks volumes. personally I’d rather my government made decisions based on the social cohesion and the quality of life of its citizens rather than Starbucks profit margin . Also are you factoring in the cost to the German government of this? last year the refugee crisis cost it E20billion and it has earmarked E21 billion this year. I’d say these points deserve measure, but then common sense rarely finds breathing space in virtue signalling. Seems that words ‘humane’ and ‘humanity’ are foreign to you. The comfort of your life comes before a fellow human being, money before a life. I wish you never experience the destruction of war and its impact on your family. I would love this to be true as it agrees with my politics. But have the authors heard of the ecological fallacy? Idiotic. The German economy has been doing good long before the refugee crisis, actually it started doing great since the Euro was introduced. -effect: it can employ a lot of people (spoiler regardless of what this article claims, less than 3% of refugees are employed). -cause: refugees are creating jobs (false, it’s not reflected in any data). -effect: the German economy is doing good (as mentioned before, it has been doing good for 2 decades. Classic dishonest and faulty argument of the open borders crowd.